Asthma is a chronic problem that occurs in the tubes that carry air into the lungs. Asthma can make it extremely difficult to breathe; the airways get so narrow that air can’t pass freely. The result is a serious wheezing problem and breathlessness which is known as the asthma attack. Today there is no proper cure for Asthma but most people control the symptoms through medications and lifestyle changes. Some triggers like dust, chemicals and food can make the condition in the airways worse, where the swelling in the airway gets worse and blocks the space inside. This makes the airways smaller. The body also makes lot of mucus that clogs the airways. This is when it becomes hard for air to get in and out of the lungs and you start wheezing. One of the main symptoms is wheezing where you get short of breath, start gasping and feel tightness in the throat. You hear a whistling sound in the chest which is called wheezing. Sometimes the condition will be accompanied by severe coughing. 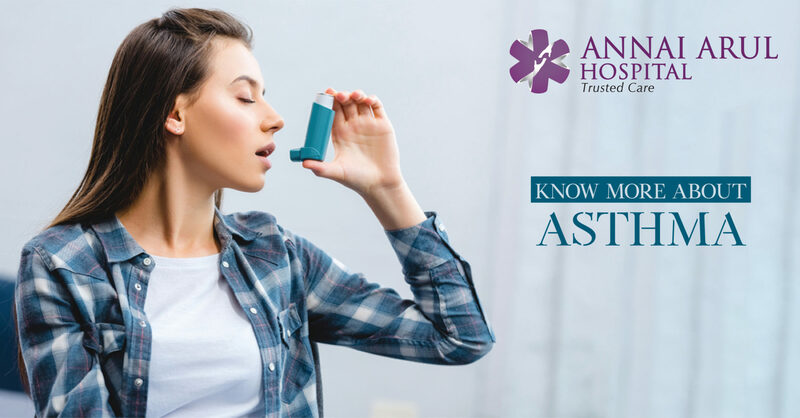 Severe asthma is life threatening and if you don’t use medicines properly then it can be really tough to control an asthma attack. You are more risk of catching asthma if your immune system is underdeveloped those with history of allergy. This is the case in developed countries where too much hygiene and use of more household cleaning sprays. Asthma usually develops during childhood. Few might continue to have in adulthood. It affects those with parents who have asthma or a close family member with asthma. More boys have asthma than girls but as they grow up more women get asthma than men. Certain type of job or occupation raises the chance of getting asthma as an adult. This is true of those working in factories and other places where there is a lot of chemicals and dust that is created around them. Prolonged working in these conditions causes asthma. People who smoke whether men or women, teens or adults they are likely to get asthma. Second-hand smoke also can lead to breathing problems and asthma. Especially children who are around people who smoke have more chance of contacting asthma. Being overweight is another reason for getting asthma. A study found that more adults with overweight bodies were affected with asthma than those who were of normal weight. A lung test is called spirometry and it actually measures how much air you breathe in and out. The spirometry results will enable a doctor decide whether you have asthma and how severe it has become. Certain allergy tests are also recommended by the doctor to pinpoint the triggers that cause asthma. | To continue meter dose inhale when symptomatic.